This is one of the easiest ways to increase intensity. How long do you rest between sets? Don’t know? Time yourself, then work on reducing those times. Shortening your rests means you’ll probably have to lower the weight you lift. 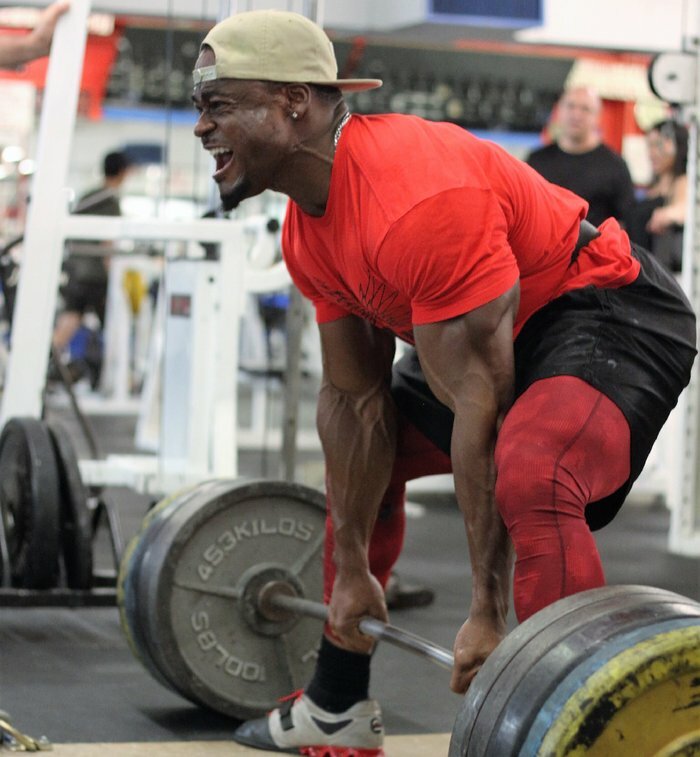 With shorter rests between sets, powerlifter and NPC competitor Oluseye Osinowo ramps up the intensity of his deadlifts. We’ve all seen those guys blasting max weights in the gym, then sitting there for 3-4 minutes between sets as they get their breath back. That’s not going to happen when you’re resting 30-45 seconds. You’re lowering the weight but increasing the intensity, which means you’re still lifting hard!